It’s the Most Wonderful Time of the Year! Let your home reflect your Christmas Spirit with various decorations and home Décor sold here at Sherwood Forest. 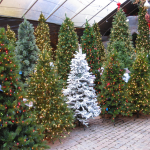 Browse a variety of different tree themes and color combinations decorated by our Master Designers. With each room we take you on a journey through the Magic of Christmas. 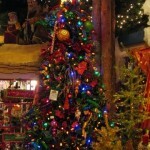 With movement around every corner Sherwood Forest offers a Christmas Feast for your eyes. Floor to ceiling displays are packed full of inspirational ideas to make this Christmas one to remember. 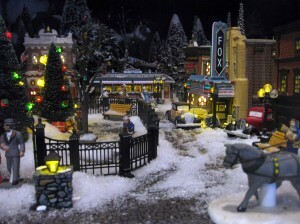 It’s Christmas in the City, here at Sherwood Forest, with all your favorite Department 56 villages. All villages are on sale now and displayed beautifully in our Village Room. 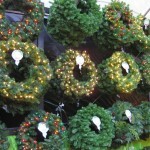 These Villages will make stunning displays for family and friends to enjoy at the Holidays or all year long. They are imaginatively created using hand-craftsmanship and the highest level of authentic architectural detail. Still need help making your village look like the pros? Ask our designers how they made our villages come to life with moving pieces and a real model train. We have many ideas to help you become your own master decorator. 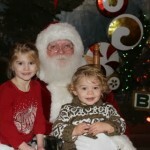 We carry a variety of Santa’s of all sizes, colors and prices to fit each individuals needs. Our High Quality Mark Roberts Santa’s & Fairies are well worth the prices. These personality-packed fairies each feature Mark Roberts’ distinctive detail including expressive hand-painted elfin faces, lush fabrics and trims, and sheer wings. Each Santa and Fairy is individually handmade and includes custom hand-stitched embroidery, multiple layers of trim, and beautifully lined coats. It’s the perfect item to add elegance to any home. Looking for something a little larger? Our Ditz designed Santa’s/Woodland Animals are imaginative, charming and heartwarming. Great attention to detail makes these Santa’s seam almost real pulling you into their enchanted world. Lower in price but still nice. 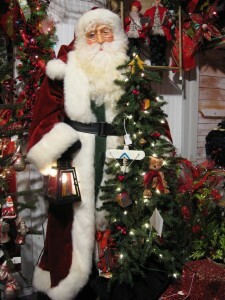 Our Regency & Santa’s Workshop Santa’s are reasonably priced and come in a variety of colors and sizes to choose from. Bring this holiday staple home for Christmas. We have a variety of Themed Nutcrackers including University of Michigan & Michigan State Nutcrackers that are sure to be the perfect present for your Student or Alumni. 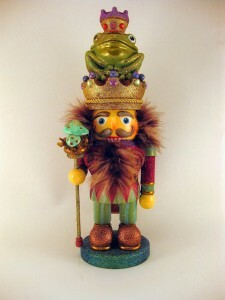 We also stock Hollywood Nutcrackers by Kurt Adler. They are a collection of whimsical nutcrackers with designs ranging from golfers and fishermen to pirates and magicians, they make the perfect gift for every occasion. 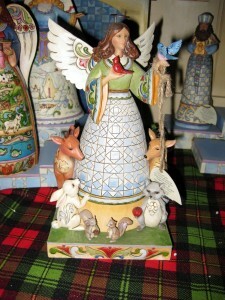 Delicate and beautifully made Angels are available for sale here at Sherwood Forest. 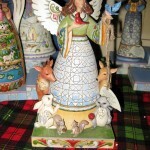 We have a variety of angles including ornaments, free standing figurines and tree toppers. Fiber optic, animated angels, and angles that light up are also available. Stop in today and to see our large selection. Jesus is the Reason for the Season… So to celebrate the Birth of Christ we have a variety of Nativity scenes that tell the story of the First Christmas, including a life-size outdoor nativity available for purchase. Jim Shore is an enormously popular and award-winning artist who has perfected his unique style, combining elements of folk art with vibrant colors to traditional themes. His popularity soared after his successful partnership with Disney. He personally designs each piece of his Heartwood Creek and Disney Traditions Collections. Stop in Sherwood Forest today to see all his latest creations. 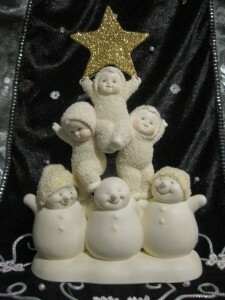 Snow Babies are timeless and charming, hand-painted porcelain bisque pieces that bring out the child in all of us. They offer countless opportunities to celebrate love, friendship and life’s memorable moments by reminding us of how magical the world can be through the eyes of a child. Mark Roberts Fairies and Santa’s are beautifully crafted and each magically unique. These personality-packed fairies each feature Mark Roberts’ expressive hand-painted elfin faces & lush fabrics, trims, and sheer wings. 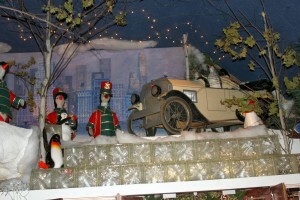 Department 56 Villages make stunning displays for family and friends to enjoy at the Holidays or all year long. They are imaginatively created using hand-craftsmanship and the highest level of authentic architectural detail. Krinkles by Department 56 are delightful and whimsical line of ornaments and figurines for holiday decor. Artist and designer Patience Brewster creates each ornament and figurine to be unique and distinctly magical. 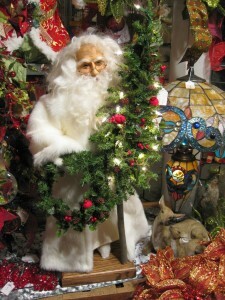 Katherine’s Collection offers fanciful characters and holiday décor to celebrate the season. 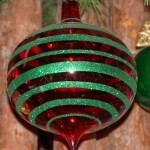 They offer leading-edge designs and handcrafted quality products to brighten any holiday display. 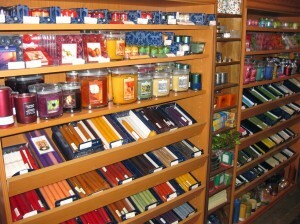 Make this Holiday Season Merry & Bright, with Candles from Colonial Candle sold here at Sherwood Forest. Experience the warm and inviting feeling of being home for the holidays with holiday scented candles sold in all shapes and sizes. From tealights, to pillars, to jar candles, to votives we have all you need to add Christmas to the Air. We also have Tapers in a variety of colors to accent any table arrangement. Our non drip candles will give you the same beautiful look without the waxy mess left on your tablecloth. We also stock a variety of candle holders and Hurricanes to transform any display, Making Spirits Bright! Also available for those who don’t like real flame or have young children we have GKI Luminara Candles that are an artificial flame that looks like the real thing. Stop in to see how life-like they really are.